While a growing group of Watauga County citizens have become aware of how Watauga County ordinances actually welcome toxic polluters through weak or non-existent protections, that bunch of Republicans in Raleigh are fast-tracking a bill which loosens regulations for air quality, water quality, and recycling, a new set of regs meant to completely neuter whatever is left of the Department of Environment and Natural Resources (DENR). Naturally, it's coming out of the NC Senate, which is so far to the right on everything that our feckless governor ... oh, never mind! It's coming out of the Senate, which is where extremism has its home office. And who's "shepherding" this particular piece of backward thinking but Sen. Trudy Wade, she of the Greensboro redistricting meanness, which is also slouching toward Bethlehem to be born. ...DENR distributed a 12-page analysis for lawmakers enumerating the agency’s concerns with the legislation. The document stands out for its tone of alarm coming from an agency that under Republican Gov. Pat McCrory had vowed to treat businesses as partners and customers rather than adversaries. Doesn't matter. This Polluter Protection Act will pass the Senate. It'll be up to the NC House to have a sane moment. Don't laugh. It could happen. When the commissioners met to hear the changes in the High Impact Land Use Ordinance. Joe Furman told the commissioners that the changes made in the ordianance would not have any affect on Maymeade's ashphalt plant as if they did have a vested interest. And, now, after hundreds of people turn out to the publc hearing on the changes to the ordiance, voicing their concerns over of the asphalt plant, the commissioners say that Maymeade does not have a vested right. And, now Eggers, Eggers, Eggers and Eggers, Watauga's 1st Family of Law, says that the asphalt plan can be part of a moratorium. This comes at the heels of the dialoque initiated by Commissioner Hodges with Austin Eggers regarding the so-called complexities of moratoriums. It appears that out of fears of public record requests and having their lies exposed, the commissioenrs have decided to say, 'on second look...", 'oops'..... And, being an activist, the closed session to discuss the so-called complexities of moratoriums was to protect the commissioners from embarrassing discussion, discussion they were not bold enough to have in front of the public. Hodges was very uncomfortable and rightfully so, he and Mr. Hampton, the property owner lwasing the land to Maymaede and the original permit holder are life-long buddies. Mr. Hampton spoke with me after the public hearing. He did not deny that the emissions from asphalt plants were harmful; he said, "I want an even playing field." From my conversation with Mr. Hampton, he wants to see other polluting industries in the moratorium so he does not feel like he is being singled out. Mr. Hampton has concerns abour diesel fuel emmissions. I would recommend that concerned citizens meet and formulate a moratorium covering the industries that they are concerned about. And, invite Mr. Hamption to share his concerns about diesel fuel and any other industry he has concerns about. Maymead does not play nice - and in Watauga County, the company has county officials to play with who don't care. The county's attorney is not acting in the interests of the county - the current HILU ordinance does not protect the assets of the county - the county's planner is all over the place. The future of Watauga County is threatened by a lax regulatory climate that favors toxic producers, not residents. At least the county had the guts to point out that Maymead's air permit to DENR was for land that has never ever held a county permit for asphalt production. WHY does such disregard for county regulations go unpunished? Seems Maymead should be penalized for playing fast and loose with the county's lame HILU regulations, but Roark is blustering on about his "vested interest." If Hampton is so concerned about diesel fuel, it's too bad he's selling his land to a company that relies heavily on trucks to move asphalt to and from various locations. But DENR - soon to be gutted even more - doesn't measure diesel fuel exhaust fumes. This current group of commissioners is poised transform the High Country into the High Impact trash heap of western NC. Land owned by private owners is not valued by the commissioners - unless it's owned by a good buddy who wants to sell it to an out-of-state toxic polluter. It's a tragedy unfolding before our eyes. I have some questions, please. If asphalt is so bad, so toxic, then why does the government entities, etc, use it? The substance has been used for many decades, and if I'm not mistaken, the raw basic form has been known for centuries. Why is this substance in such demand? And what would we replace it with? Just how many asphalt plants exist and are now operating in Watauga County? Is NCDOT planning on paving a major roadway into Ashe County from HWY 421? What would be a reasonable surfacing alternative for this NCDOT project or any other project, large or small, that normally uses asphalt? Last, but not least, is it possible for any substance produced to have 0% emission and still be a usable product of that nature ? Mr. Williamson, I hope you post this comment, because I would like to get some straight and feasible answers. To quote, "Toxic air pollutants compounds emitted from asphalt plants include polycyclic aromatic compounds, volatile organic compounds, metals and hydrogen sulfide." This is followed by a list of 28 specific toxic compounds. What do you replace it with ? What other toxic substances that are produced and used on a considerable scale ? How do you achieve 0% emissions ? I thought one reason Maymead wanted an asphalt plant on 421 near Deep Gap was because it would be much closer to the 221 project and would avoid having to haul the materials from the quarry on Hwy 105 South. If Maymead has to haul materials from 105 through Boone, out 421, up 221 to Ashe County, wouldn't that create much more toxic air pollution in the Town of Boone and its adjacent residential areas? Maymead already has an asphalt plant at the other end of the 221 widening project. They want one on 421 so they can use it for every project in 4 counties for the next 40 years. Maymead already has an asphalt production facility in Jefferson, NC to better serve the 221 expansion project. We do not need anymore asphalt plants in the region and not on our beautiful scenic byways or in your backyard. On July 7th @ 8:30am the citizens of Watauga county need to show up to the county commissioners public hearing and express their concerns, asking for a 6 month moratorium to redraft the county's High Impact Land Use ordinance (HILU) with greater setbacks from all high impact industries and with public input. The proposed new HILU is a joke and does not protect the health and financial interest of the county's residents. Yes, we have a high density population in the county making it all the more important to protect our people from air and water contaminating industries. The battle over asphalt plants has been going on for over two decades in this county. The commissioners need to draft and approve a thorough and fully comprehensive HILU that protects the county's assets and it's citizens from out of state speculators and polluters like Maymead. Ok, then what do you want to replace asphalt with ? You say this substance is toxic and dangerous, yet it has been and still is being used extensively on the highways and suburban areas and on many private driveways where many people live and work. If there is a plant on the other end of the Hwy 221 project, which is in Ashe County, and the proposed plant is denied, then that is still quite a commute, considering the ONLY existing and working plant in Watauga is on HWY 105 south of Boone. Also, is there any location in Watauga that would be acceptable for the proposed new asphalt plant for your group ? "Also, is there any location in Watauga that would be acceptable for the proposed new asphalt plant for your group ? " How about your front yard? Would that be acceptable to you? Right on! We need nice, smooth highways with wide paved shoulders in Watauga County. The asphalt plants necessary for our paved roads should be located somewhere else, not here. Why not exile them to Tennessee or Virginia? So, you think anyone else's front yard, including mine, is acceptable for an asphalt plant location? As far as I know, the proposed asphalt plant is not in anyone's front yard either; neither is the existing plant in this county. 'Sounds to me like you are saying anyone else's locale is OK, but not yours. NIMBY, huh? And my locale would not be suitable, because it is just too far away to be practical for all the projects, the paving needs, planned in the much more populated areas of the county. You know, where all the major paved roads are; the many suburbs and their nice paved driveways; ASU; the towns of Boone and Blowing Rock and all the other tourist and second home developments. They need, they DEMAND, the smooth pavements, the asphalt, much much so than we in the west do. You suffer from NIMBY more than anyone else in this conversation. 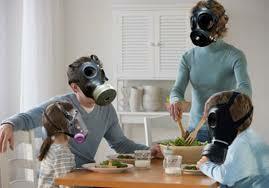 High population densities need to be protected from the airborne toxins the asphalt plants put into the air. Allowing Maymead to create an 104 acre industrial complex on the Doc and Merle Watson Scenic byway into our region is bad for our tourism based economy. We do not need anymore asphalt plants in the county. Maymeads existing plant produces enough asphalt to supply all the projects in the region. Drive by it when it is in operation and you can smell the petroleum in the air. That is not good for you. They have no screening and the place looks horrible as you drive into lovely Valle Crucis. Their present proposed site on 421 is a bad location for Watauga county as a whole. Local businesses are starting to become aware of this and vocalizing and financially supporting their opposition to this. At this point the original permit that had never been issued to Maymead has been revoked. Also, to make matters worse, Maymead applied to DENR for the state air permit for a different parcel on Johnny Hamptons land. Not the original parcel that was covered by the 2011 asphalt permit issued to Johnny Hampton. Maymead can bluster all he wants about lawsuits but he's dead in the water with this issue. The next step is to create more stringent setbacks for all high impact industries (classes I, II, III) so the citizens of this county and their properties are better protected from these polluters. And yes, I'm happy to drive on gravel. Slow down and smell the fresh High Country air. To anonymous at 11:18 "then that is still quite a commute, considering the ONLY existing and working plant in Watauga is on HWY 105 south of Boone. Also, is there any location in Watauga that would be acceptable for the proposed new asphalt plant for your group ?" That commute is about 15 miles to 221 from the 105 location, which is really not quite a commute. Maymead's been handling the "commute" from the 105 site to Blowing Rock quite well, it seems. In western NC, there are NO counties with more than one Maymead asphalt plant. None. Adding a second would make Watauga #1 in Maymead asphalt plants. The idea that an asphalt plant is needed in every town with a road - and of course - two asphalt plants in Watauga County - is not supported by facts. Buncombe County has three asphalt plants, according to the state's asphalt association. That county is SIGNIFICANTLY larger and less rural than Watauga County. There is NO NEED for a second asphalt plant in Watauga County. Maymead got a SWEET deal on the land - they're paying $6000 a year to lease the land they're transforming into a high impact toxic polluting industrial zone. When Maymead applied for its air permit with the state, they actually did it by skirting the county's regulatory process. Maymead has NEVER applied for an asphalt permit from the County. Additionally, the expired permit granted to Hampton that Roark keeps claiming is "his permit" was for a completely different location than the one Maymead is developing. A high impact company that skirts the MINIMAL regulations we have in Watauga County is a terrible neighbor to invite into the gateway of the High Country. The Doc and Merle Watson Scenic Byway is a dangerous location of this facility - it poses a major threat to the tourism industry. This facility is located in a populated area with many homes. It is near two schools. I cannot believe that all locations in Watauga would provide this much harm. Thanks to the Hamptons, for letting in an asphalt plant along the Doc and Merle Watson Scenic Byway. Ok, you stress tourism and concentration of population, etc. Yet, these very factors will and do demand substantial asphalt supplies for (state-funded projects) major and secondary roadways, suburban development, driveways, parking lots, repairs, etc. You cannot circumvent these realities that entails state maintained roads, along with your tourism, ASU, and housing economic engines. You want to curtail, to restrict, the means to efficiently provide the substances for smooth and safe roadways that we all travel on even right up to many of our homes. You say the Hwy 105 South location is sufficient for the Hwy 221 project; some might say that statement is subjective. I remember when some were complaining about the 105 site. Yes, some western counties have only one plant. But some western counties are not like Watauga County, or Buncombe, for that matter. There are differences. When many people build/bought homes in and within close proximity to Boone, Blowing Rock, which is very convenient in many ways, they also have to accept the risks and inconveniences. Some of your neighbors have land tracts; they pay taxes on this land. Can you blame them for wanting to profit in some way instead of continually having to pay increasing taxes ? But you see, economic opportunities have been diminished in this tourism and housing, second home, mecca. Your odd claim about my NIMBY problem is ludicrous. My locale is in western Watauga. My driveway is gravel; I cannot afford a paved driveway. Again, this western locale would not be feasible for asphalt plant site/s to supply asphalt for the Boone - Blowing Rock region projects.